Middridge Meadows is a quiet, tranquil site, set on a small livery yard on the outskirts of Middridge Village, County Durham. 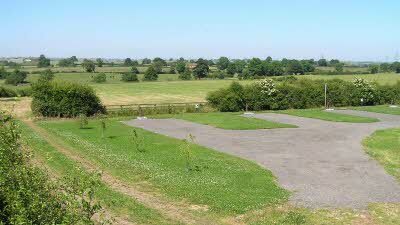 The site has plenty of open space with level grass and hard-standing pitches available and these are suitable for both caravans and motorhomes. Easy access to the site is obtained via a wide, good quality hard-surfaced track. We encourage waste recycling and have separate bins for general waste, cardboard, metal and glass. The pitches have electrical hook-ups and space for awnings is also included. The site is on a bus route and there is a bus stop a short walk away in Middridge village (timetables are available in our information hut). There are also two train stations nearby in Newton Aycliffe and Shildon which are both approximately 2 miles away. Visitors to the site will be able to see plenty of horses, birds and other wildlife in the surrounding countryside and our land adjoins a local nature reserve. For keen walkers there is a network of public footpaths surrounding the site with a detailed Ordnance Survey map available in our information hut along with loads of ideas for places to visit during your stay. There is also coarse/ game fishing and golf within 5 miles of the site. Our CL site is an ideal base for exploring the North East of England, with good links to the A1 from which you can visit Newcastle, Durham, Darlington, Sunderland, Hartlepool and Weardale which are all within an hour's drive. There is a very popular village pub serving good quality food all day within walking distance of the site (about 500 metres) and The Shildon Railway Museum (with free entry) is less than 2 miles away. There is a local shop about 2 miles away and large supermarkets in Newton Aycliffe and Shildon which are about 3 miles away. Whilst staying on our site we would recommend that you take the opportunity to visit some of the many attractions available in the North East. In our information hut/pool table room we have provided plenty of ideas to inspire you. From the beautiful cathedral city of Durham, Hartlepool's Historic Quayside and Marina, Beamish Museum, Archers Jersey Ice Cream, The Metro Centre, Hamsterley Forest and Butterfly World at Preston Park to name but a few, there is sure to be plenty of choice to suit all tastes. 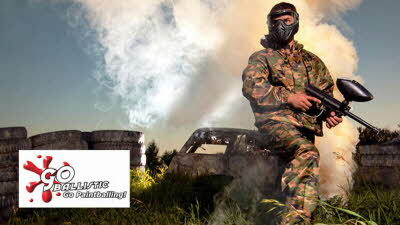 We look forward to welcoming you to our CL site soon. Please visit our Website for further information. 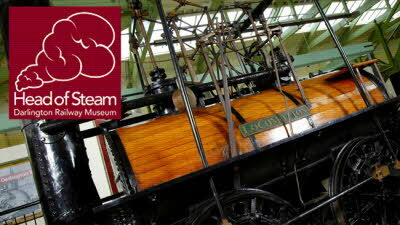 The Museum is located on the 1825 route of the Stockton & Darlington Railway, the world's first steam-worked public railway, and is devoted to the area formerly served by the North Eastern Railway, with particular reference to Stockton & Darlington Railway, and the railway industry of Darlington. A great spot to stop. We wanted a site near to our destination at "Beamish". This site fit the bill and enabled a stop a the nearby Shildon Railway Museum. The site is very secure down a well made private driveway, ( 'entrance is locked with coded lock which is shared when booking.) The usual five CL pitches well made hard standing with grass well kept. EHU and a useful information cabin which has a liberal supply of information about the area, books, DVDs and a pool table. We did not need the recycling and waste facilities so I can't accurately comment, but saw them being used by others on the site with no apparent issues . Very quiet despite some noise from the main road and the horses from the livery were quiet but added a pleasant rural feel. Middridge Meadows is a haven for wildlife, pure tranquility and fabulous place to stay. We come here regularly because it's a great getaway. The owners are fantastic and go above and beyond to make sure your stay is everything you could wish for. We had a breakdown with the caravan on our last visit and the owners of the site couldn't have done any more to assist us over the period of a weekend. They were fabulous and we cannot thank them enough. Best value site we've used in 4 years caravanning! Found site, approaching from the A1 the entrance is immediately left at the end of the terrace of houses. Gated, combination locked entrance. We pitched facing the horses who were lovely to watch. Pool table in the Information Hut is a master stroke! Have only given 3 for ease of arrival/welcome as we didn't see anyone to pay and left our site fees in the box as instructed. Wouldn't hesitate to recommend and would return. pleasant experience from beginning to end. got all information by email. then booking and got the gate lock number. Clear instructions them made for an easy arrival. found the gate set back from road but with a long caravan had part stinking out onto road till unlocked gate. Field was well kept, surrounded by countryside and horses. 10 minute walk to the local pub which served good food dog walking is good. We did not the owners. contact numbers were clearly displayed at the information hut and on the booking details we were given. Should we be staying in the area again we would not hesitate in staying at this CL.